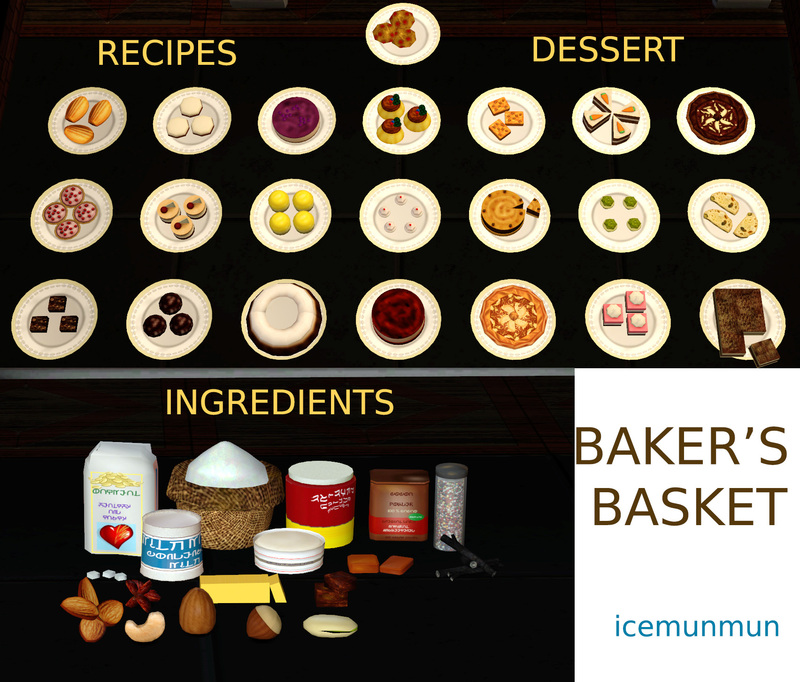 In this section you can find various edible food and drinks (buyable and cooking required). 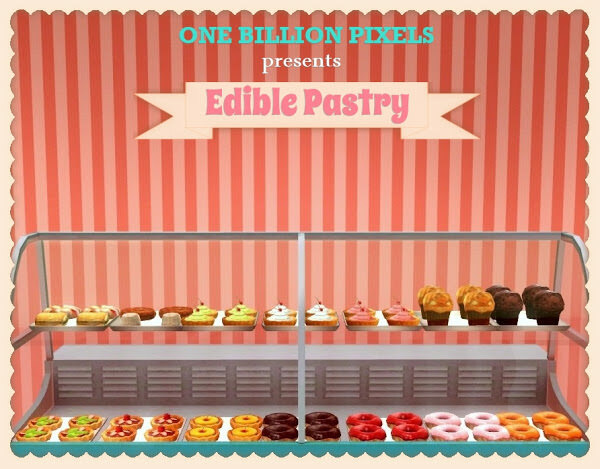 Description: Buyable and edible pastry. 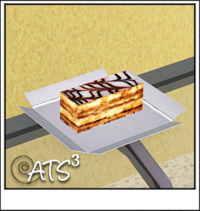 Description: New dessert recipes (Almond Macarons, Almond Madeline, Blueberry Cheesecake, Caramel Cashew bars, Caramel Custard, Caramel Swirl Cheesecake, Carrot Cake, Choco Almond tart, Cranberry Pistachio Biscotti, Cranberry tart, Hazelnut Brownie, Lemon Cakes, Hazelnut and Choco Cake, Mocha Walnut cake, Neopolitan Fudge, Oats and Cranberry Cookies, Pistachio creme Cupcakes, Red Velvet Cheesecake, Rum Balls, Rum Raisin Tiramisu, Vanilla Bundt Cake, Vanilla cupcake with Sprinkles) with plantable (Almond Tree, Cashew Tree, Cranberry Tree, Hazelnut Tree, Pistachio Tree, Vanilla Plant, Walnut Tree) and buyable (Baking Powder, Butter (Edible), Caramel (Edible), Cocoa Powder, Condensed Milk, Creme Cheese, Flour, Fudge (Edible), Oats, Raisins (Edible), Sprinkles, Sugar (Edible)) ingredients. 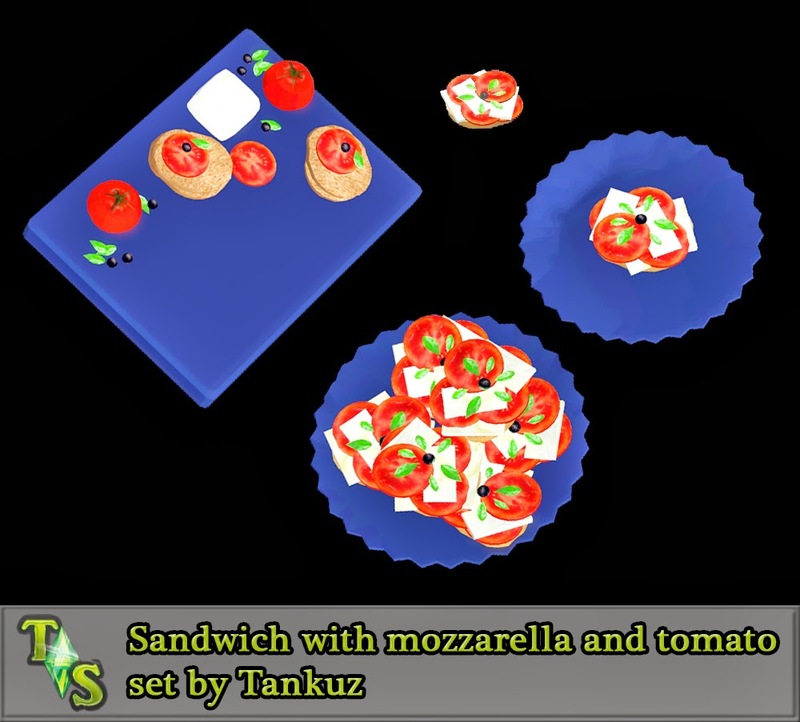 Description: Edible sandwich with mozarella and tomato. 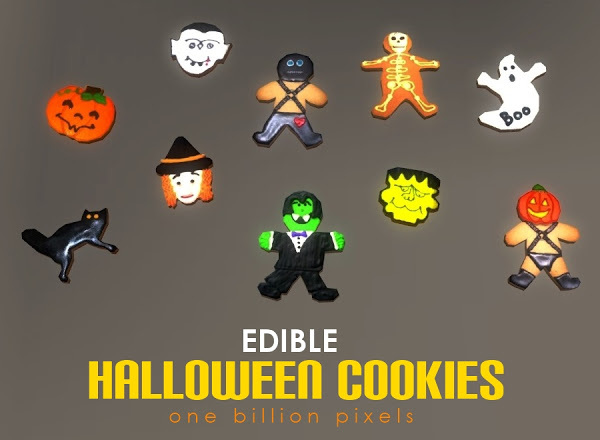 Description: Edible and buyable Halloween cookies.